Discover this sparkling twist on a classic! 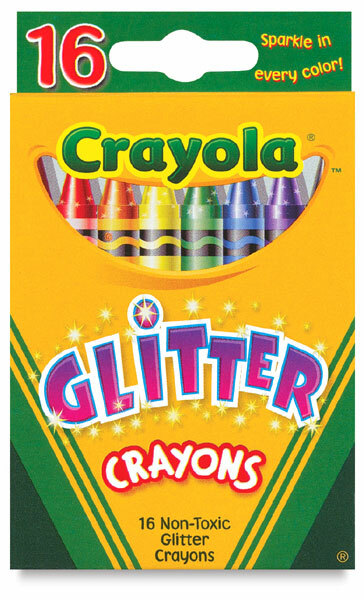 Glitter inside each crayon creates designs that will delight children and adults alike — a terrific complement to the standard crayon palette of colors. 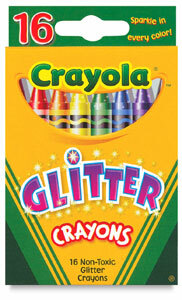 Crayons measure 3-5/8" long × 5/16" in diameter (80 mm × 8 mm). Set of 16 comes packaged in a tuck box.